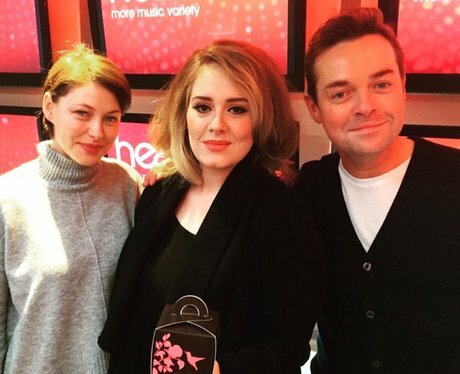 Remember when Adele popped by to hang out with Stephen Mulhern and Emma Willis? 2. Remember when Adele popped by to hang out with Stephen Mulhern and Emma Willis? The superstar singer casually dropped by to chat to the Heart presenters and give us there first play of her hauntingly beautiful 'Hello'.